50 spots available by registration only. Sign up by completing this short registration form. The best available science tells us that for most audiences, stories are more interesting, understandable, convincing, and memorable than evidence‐focused communications. However, scientists are unfamiliar with this literature and often resist or distrust storytelling approaches. This storytelling workshop explores how to develop and tell personal stories about science with intellectual honesty and ethical consideration. Lecture and discussion will share research on storytelling and narrative persuasion and highlight the value of personal stories in science. Participants will learn how to find, develop, and perform their own deeply human stories of science. This workshop will be facilitated by Story Collider. Please complete this short form to register to attend this event. In this session, panelists will discuss how to secure a (funded) post doc, what to expect from a post doc, and how to best use the years spent in a post doc position and plan ahead for the next stages of your career. This instructional, demonstrative and interactive workshop will present best practices and lessons learned about teaching in a nonprofit graduate program where a comprehensive model of engaged scholarship has been refined over the last 14 years. Faculty and current students will present how they have used cases and applied consulting projects to teach and study nonprofit management topics. Impact data and examples of finished projects will be presented. Systems for managing student team dynamics, fairly assessing group projects, and strategies for ensuring a good experience for “client” organizations will be shared as well as a detailed applied project guidebook that was written by and for students. A range of non-academic career paths are available for researchers in the Third Sector. Speakers in this session will discuss how they found their current position, what the position requires, and how a PhD could/should present themselves as a possible candidate for similar positions. This discussion will identify pathways to different career opportunities for those in the early stages of their career development and those considering a transition mid-career. What types of career opportunities are available for those in the Third Sector? What types of jobs might be a good fit for ISTR members seeking work? What are the main factors that should be considered in choosing a career path? This session will offer perspectives on the academic job interview process from those who have participated in search committees in Europe, the United States, South America, and Australia. Participants will hear insights on what is expected during academic job interviews and what faculty are looking for from candidates. 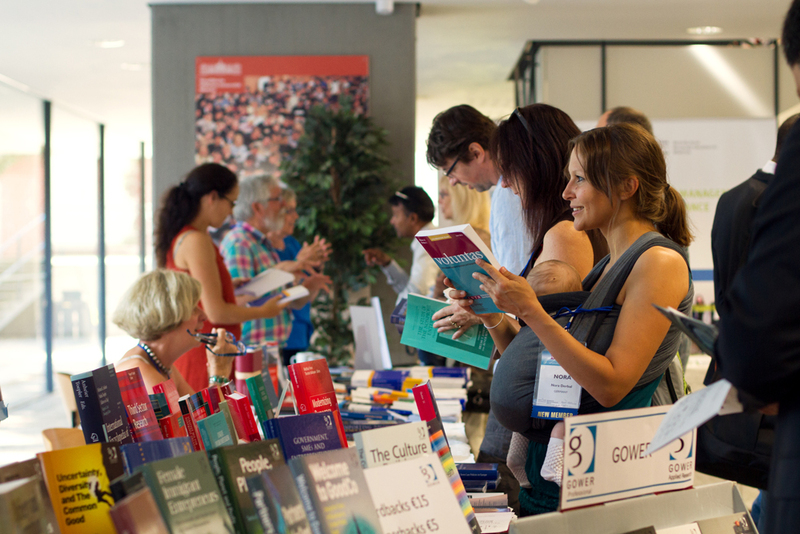 Authors of books published in the last two years are invited to sign and sell their books at the conference during our “Meet the Author” session. There is no charge to participate! Bring a display copy of your book and order forms for delegates to fill out, or contact your publisher and ask them to send books for sale. * Authors are responsible for contacting their publishers to request books be sent. Please complete the short form here to participate. Free Canal Tours for Conference Participants! We are pleased to announce that the External Affairs Office of the City of Amsterdam is offering free canal tour tickets for all ISTR Conference attendees. Tickets can be picked up at the registration desk and will be valid July 10-July 14. Amsterdam is a city built on water. No wonder that canal cruises are the ultimate way of getting to know the city. By taking a 1-hour cruise you won't miss one bit of the beautiful city of Amsterdam and you'll find out just why the canals of Amsterdam have been given World Heritage status by UNESCO. Basically, a cruise is your perfect introduction to Amsterdam. The Amsterdam Canal Cruise passes all of Amsterdam's famous attractions. Canal houses from the Golden Age, the Westerkerk, the Anne Frank House: this cruise takes you past all of them. Sightseeing in Amsterdam couldn't be a more relaxing experience. A canal cruise through Amsterdam is even more fun when you know what you’re looking at. This canal cruise is equipped with audio guides in 19 different languages, naturally including Dutch. It’s a great way to get to know all the highlights in the city in your own language. Departure times Daily from 9:00am till 09:00pm every 30 minutes. The tour is conducted by Canal Tours Amsterdam (member of Gray Line).